Noel Gallagher on The Shock Of The Lightning: "It's Krautrock"
We compared The Shock Of The Lightning's beat to that of Rock 'n' Roll Star, and asked if it was intentional: "It's kind of more Krautrock, you know? Bands like Can and Neu!. I guess it's the most energetic thing we've done - for a single - for quite a few years." 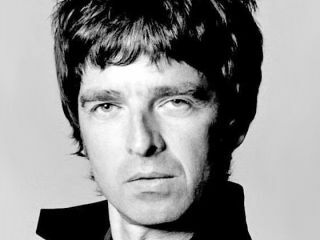 Asked whether his previous comments regarding the lack of hit singles on Dig Out Your Soul where unfounded, Noel was unapologetic: "I don't see any singles in the traditional sense. There's gonna be four or five singles off [the album] I would have thought - whether they'll be hits or not, who knows? Who cares?" Just to be clear, Krautrock refers to a music scene formed in Germany in the late 1960s, which, the bands Can and Neu! were a part of. And we can see where Noel's coming from. The drum beat is reminiscent of Neu! 's Hallogallo, for example. As for the "who cares" about hit singles comment: actually, we do. As we're sure your label does too, Mr Gallagher. For more Oasis, read MusicRadar's track-by-track guide to Dig Out Your Soul or download our interview with Noel Gallagher here.